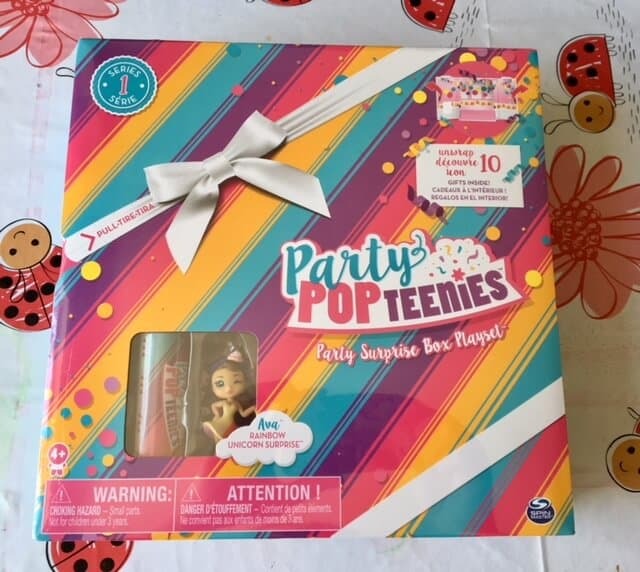 So what are Party Popteenies? We were lucky to be one of the first to check out these bright, bold and colourful figures contained in the poppers. I’m a big kid and I found it very exciting! 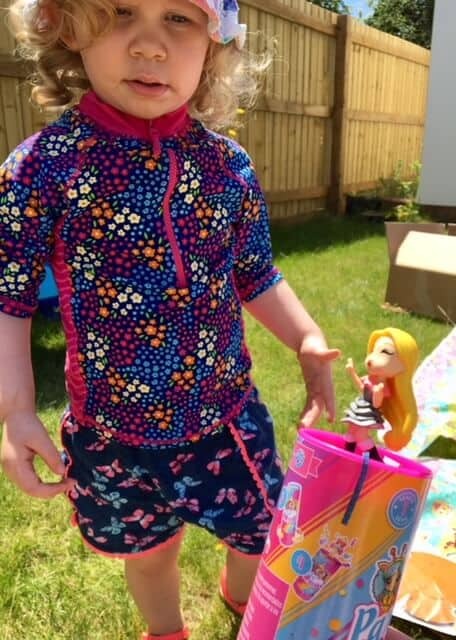 With the weather being hot and sunny at the moment we decided to have a little afternoon party outside in the garden. What did we receive in our box? The double surprise popper contains double the excitement. If you pull to separate the two poppers to discover your first layer of surprises! Wrapped inside adorable packaging are mini accessories and your doll’s pet bestie. The surprises continue as you pull, twist and pop each popper! 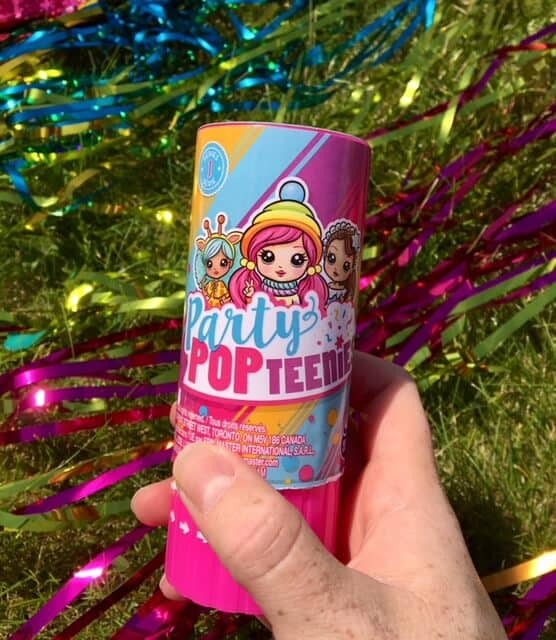 Within a cloud of colorful, collectible confetti you’ll find an exclusive Party Popteenie, wearing a fab, glittery outfit. 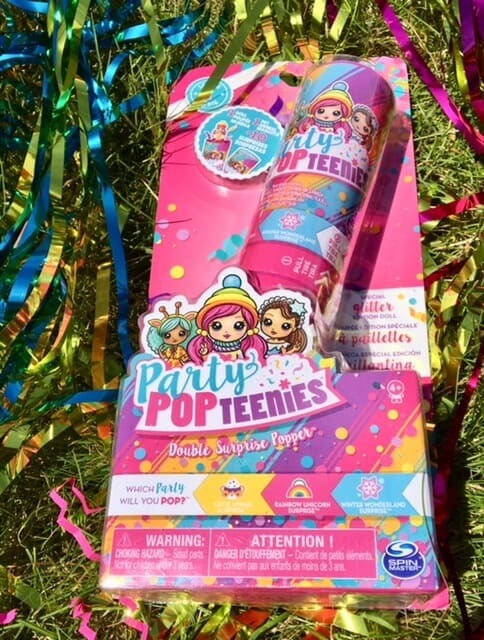 Pop your second popper to discover deluxe party accessories! 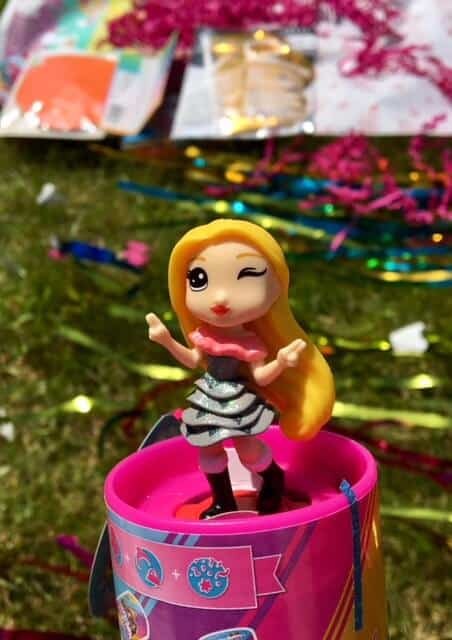 Each Double Popper includes themed stickers and chip décor. I love the idea of finding more and more surprises in the popper. When you think you have popped it, twist the bottom to discover another surprise. The Double Surprise Popper is a delightful gift or party favor for kids aged 4+. All you have to do is pull, twist and pop! Here is Lily a part of the Cute Animal surprise collection. There are 25 to collect from 3 collections – Cute Animal surprise, Rainbow Unicorn surprise and Winter Wonderland surprise. We got Riley from the Winter Wonderland surprise collection. I love the surprise of the collectible confetti that came exploding out! Each character is fantastically designed with fabulous colourful clothes. 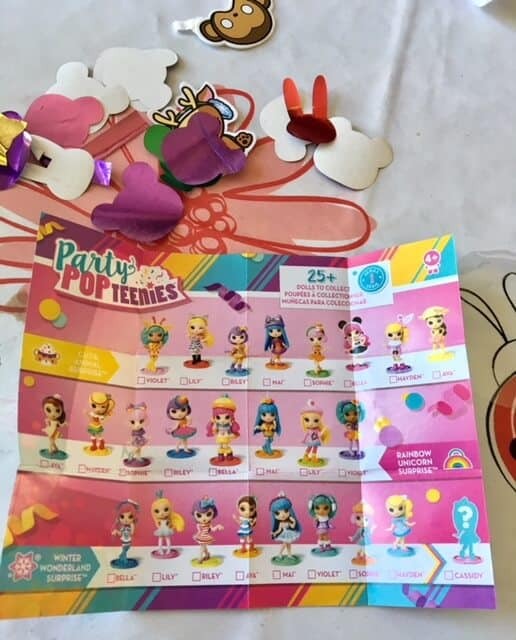 I love the idea of a collectible poster, to tick off each Party Popteenie as you get it. 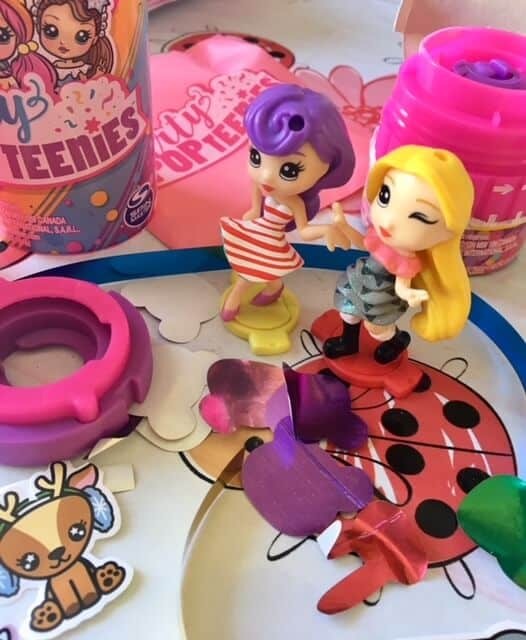 Tucked away somewhere in the double Party Popteenies tube is a themed sticker sheet. 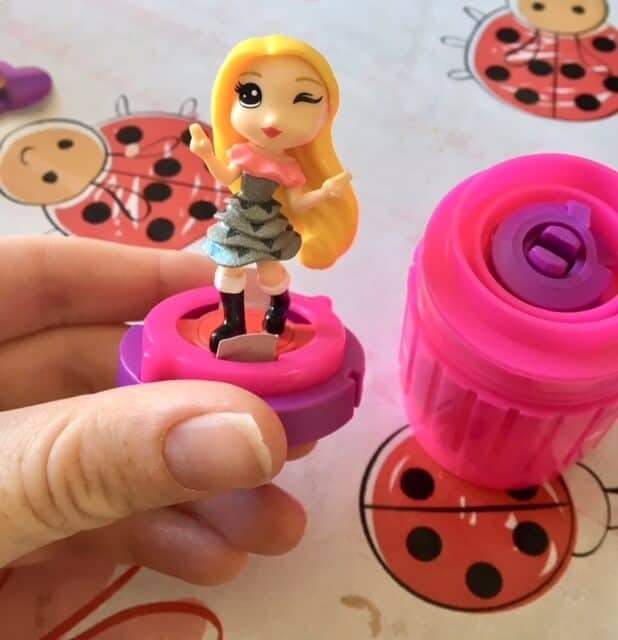 In the surprise popper and the double popper you get a secret little package which contains an accessory. 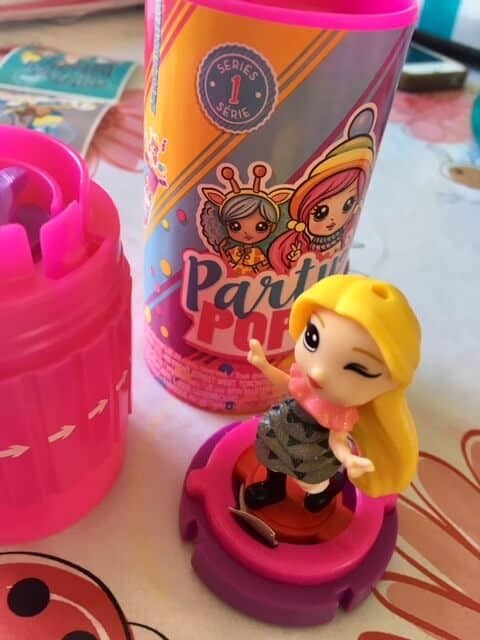 Don’t forget to look in the base of the Surprise Popper to discover hidden hair and party accessories! 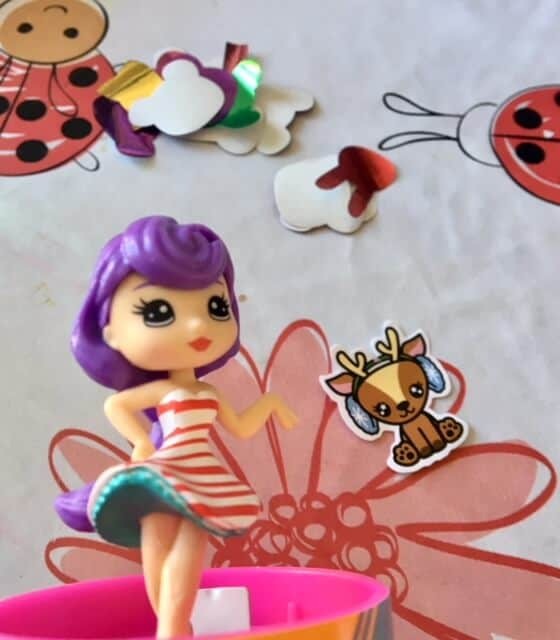 Twist the figure to remove it from the little stand. They are the most detailed collectible on the market. 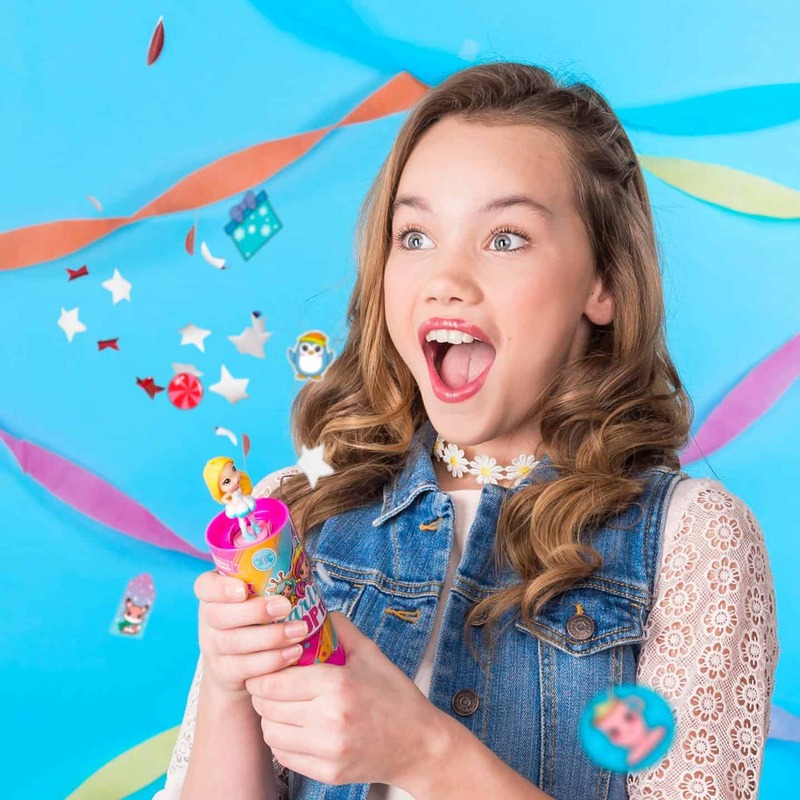 Party Popteenies turns everyday experiences into parties full of celebration and surprises. Each character is unique and has her own name. Wrapped like a gift, this playset has a small window into what’s hidden inside: Rainbow Unicorn Ava stands beside her mini confetti popper, waiting to party! Unwrap your Party Surprise Box and pull open the outer flaps to reveal two bright packages. Within one package you’ll find cute gifts, and an adorable tiny pet, while the other package holds super-cute furniture and a delightful cake! The box transforms into a a party scene. It’s easy to pack up the scene and take it wherever you go. Come for the POP, stay for the party! 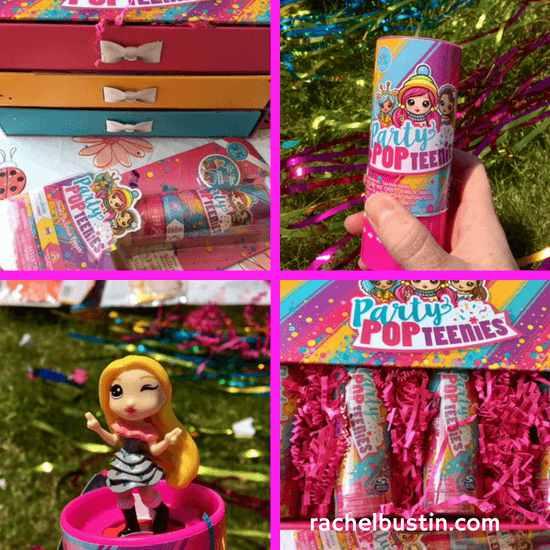 Overall I think the Party Popteenies collectibles are great fun for kids. Which Party Will You Pop? You can find our other toy reviews here. 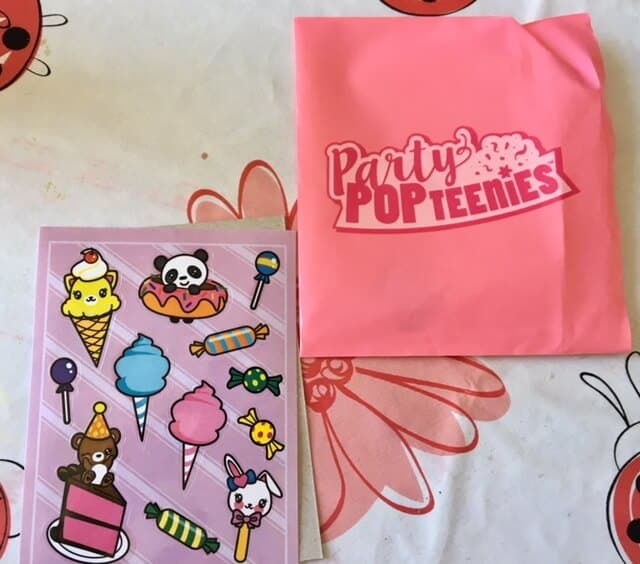 *We were sent a box of Party Popteenies goodies in exchange for this post. All thoughts are my own.